Aaliyah died ten years ago at the age of 22. When people pass, I often find the best thing to do is to talk or think about the good times. 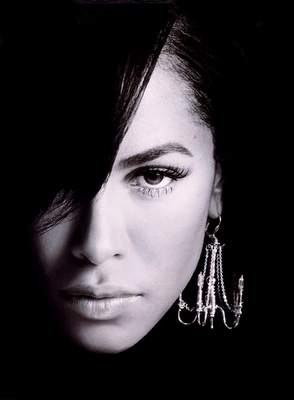 While I of course did not know Aaliyah personally, I do have some random memories associated with her music. I especially remember way back in 5th grade (or was it 4th?) I was on a school trip to the local newspaper to sing Christmas carols for the (I'm sure) enthralled editors and journalists. One of my best buddies and I were going to sing a duo to "Little Drummer Boy," the brightest moment of my never to be heard of again singing career. On the way to the newspaper headquarters "Are You That Somebody" came on the radio and the bus driver relented to the chorus of little kids telling him to turn it up. Back in Prairie View Elementary there were a few songs that every just knew, and this jamandahalf was one of them. Each kid on the bus sang it perfectly word for word, doing a much better job then at the concert we were driving to. And although that was a pretty insignificant moment in my life, hearing this song always takes me back to that time. Although years older than we were then, Aayliyah is only a year younger than myself when she died. While the word "tragic" is often thrown around, the loss of the Princess of r&b at such a young age qualifies. While she's now been gone for ten years her music, and more importantly, the memories, live on.